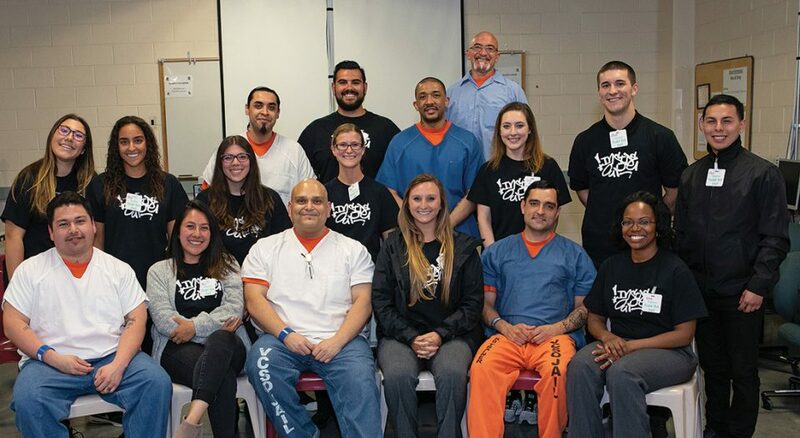 Victoria Rose Meek has a hard time choosing only one moment for when she realized how much of an impact the Inside Out Prison Exchange Program had on her, her California Lutheran University (Thousand Oaks) classmates or the students serving time at the Todd Road Ventura County Jail. Perhaps the moment she remembers most vividly started when an inmate admitted he signed up for the university course because he had nothing better to do. Research is clear that education is one of the major factors in decreasing the rate of recidivism. And it’s a factor—though not the only one—that motivated the Inside Out Prison Exchange Program’s creation 21 years ago in Pennsylvania. The program brings together college (outside) students and incarcerated (inside) students for a course inside a prison, jail or correctional facility, and it has reached more than 30,000 students worldwide. That experience eventually led her to a training with incarcerated students, where she learned that the style of teaching needed for success stresses small- and large-group interaction over longer lectures. From that point, it took a couple of years to work with the university and Todd Road to make sure everyone was on the same page. During much of that time, Meek, who had Lucas as a professor, knew she wanted to be part of the first California Lutheran course taught inside the jail. After taking three of Lucas’ classes and expressing an interest, Meek was named a Culver Research Fellow, which allowed her to work on the course in a formal manner. Part of what Meek said excited her about the program stemmed from being a home-schooled student, where emphasis was placed on real world experiences. Despite her enthusiasm, Meek admitted she had some preconceived thoughts about the inmates and that she was a bit nervous before entering the jail. On the first day of class, Lucas had the students pick a word for how they felt about the experience at the beginning of class. Hopeful and a bit fearful were how several people started. “By the end it was, ‘I can’t wait to get back.’ And whoever says, ‘I can’t wait to get back to jail?’ No one ever says that,” Lucas said. The program’s history has shown it’s safe, but Lucas said students are still entering a jail or prison where lockdowns or other situations can happen. While Lucas teaches criminal justice, she wants students and professors to know that the program is open to virtually any subject. She’s working on a program for professors to conduct workshops in the jail, and she hopes some will get the full course training she received from Inside Out. Leanne Neilson, provost of California Lutheran, said the university is behind expanding the program and that two other professors have expressed interest. Neilson was at the last class of Lucas’ session, and she said the impact it had on everyone was clear. “I knew it was going to be impactful, but to watch this guy, a lot older than our students, nearly break down and cry as he talked about what this did to his life, the depth of the emotion was just incredible to see,” she said.